Stunning mid century modern home in prime Quilchena location. 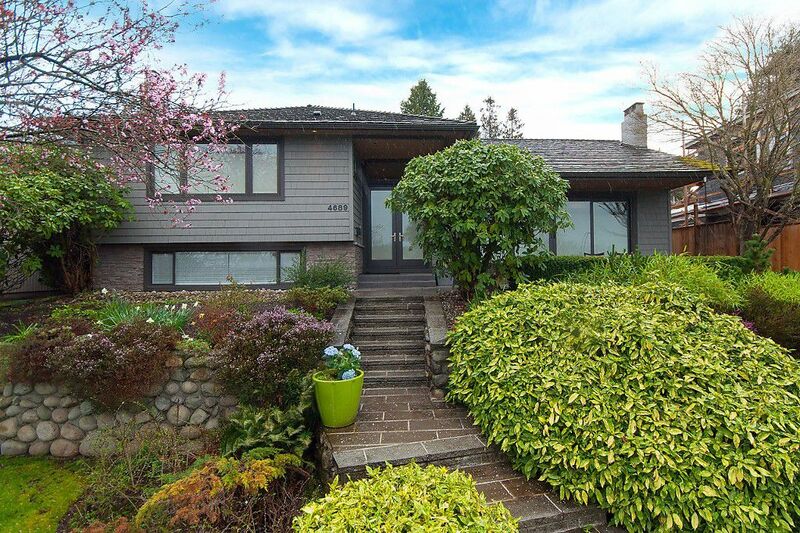 Located directly across from Prince of Wales Secondary, this family home is perched on the hill and has panoramic mountain views, and had a complete & timeless renovation in 2006/2007. It's open floor plan with high vaulted ceilings bodes well for indoor/outdoor living as both the kitchen and living room have large double doors opening to the front veranda and backyard with south western exposure. The outdoor oasis with sunken living area, patio, and built in bbq, are perfect for anyone that loves to entertain. For the chef in the family, there is a high end custom kitchen featuring zebra wood cabinetry with walnut edging, Corian countertops, all Miele appliances, and sub zero fridge. 3 bedrooms up, one below, and huge basement rec room area will meet all of your family needs. Rarely do properties come available on this coveted block.